We’d love your help. Let us know what’s wrong with this preview of Fortune's Wheel by Carolyn Hughes. How do you recover when half your neighbours are dead from history’s cruellest plague? June 1349. In Meonbridge, a Hampshire manor, the worst plague in England’s history has wiped out half its population, among them Alice atte Wode’s husband and Eleanor Titherige’s entire family. Even the household of the manor’s lord and his wife, Margaret de Bohun, have not escaped the ho How do you recover when half your neighbours are dead from history’s cruellest plague? June 1349. In Meonbridge, a Hampshire manor, the worst plague in England’s history has wiped out half its population, among them Alice atte Wode’s husband and Eleanor Titherige’s entire family. Even the household of the manor’s lord and his wife, Margaret de Bohun, have not escaped the horror. Now the plague has finally left Meonbridge, the community is trying to return to normal life. But it’s a struggle, with so much to do and so few left to do it. Tensions mount between the de Bohuns and their tenants, as the workers realise their scarceness means they can demand higher wages, go wherever they wish, dictate their own lives. It’s what they’ve so long waited for! When the tensions deepen into violence and disorder, and the men – lord and villagers alike – seem unable to achieve any resolution, the women – Alice, Eleanor and Margaret – must step forward to find the way out of the conflict that is tearing Meonbridge apart. To ask other readers questions about Fortune's Wheel, please sign up. I was intrigued by the sound of this book, as I remember learning about the plague while I was at primary school and was fascinated by it. I remember decorating oranges with cloves, as they were used to disguise the smell of death in the streets and houses. I honestly cannot imagine how awful it must have been to be alive during that time. That’s if you stayed alive, of course. It must have been truly horrific! Set during a time when the plague wiped out entire families, this book was somewhat em I was intrigued by the sound of this book, as I remember learning about the plague while I was at primary school and was fascinated by it. I remember decorating oranges with cloves, as they were used to disguise the smell of death in the streets and houses. I honestly cannot imagine how awful it must have been to be alive during that time. That’s if you stayed alive, of course. It must have been truly horrific! Set during a time when the plague wiped out entire families, this book was somewhat emotional in places. A village community devastated by personal grief, as well as the loss of important tradesman and vital knowledge. Having to use the local butcher to deal with a badly broken leg is not the ideal scenario for anyone. This book was visually descriptive, atmospheric and felt authentic. I was taken back in time to a place where death devastated generations of families, work related hazards were overwhelming, and people were struggling with starvation, due to lack of people well enough to work and harvest food or tend to their livestock. 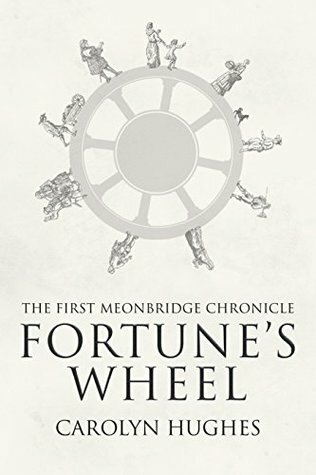 Carolyn Hughes has chosen to set Fortune’s Wheel, the first in her Meonbridge Chronicles series, in the aftermath of The Black Death (referred to by the villagers as the ‘mortality’). This is a time of terrible bereavement – husbands have lost wives, wives have lost husbands, couples have lost children, children have been orphaned and, in some tragic cases, whole families have perished. Fields lie untended, cottages lie empty and the surviving villagers face straitened times and an uncertain fut Carolyn Hughes has chosen to set Fortune’s Wheel, the first in her Meonbridge Chronicles series, in the aftermath of The Black Death (referred to by the villagers as the ‘mortality’). This is a time of terrible bereavement – husbands have lost wives, wives have lost husbands, couples have lost children, children have been orphaned and, in some tragic cases, whole families have perished. Fields lie untended, cottages lie empty and the surviving villagers face straitened times and an uncertain future. Not least because if the ‘mortality’ was indeed sent by God to punish sinners, as their priests tell them, what’s to say it might not return? But, if it was sent by God, why were some known to be sinners spared and others – innocent babes, godly men and pious women – taken? I really felt I became part of the village of Meonbridge and totally immersed in the lives of the villagers. There are a lot of characters to get to know initially so I appreciated the helpful list at the beginning of the book. However, it would be an unusual and rather uninteresting village if it didn’t have a varied population and, since the story has three main protagonists, I never felt overwhelmed. The three protagonists are all female and I really enjoyed the independence of spirit they shared, given the constraints of society’s expectations at that time. There is Alice, sadly widowed by the ‘mortality’ but determined not to remarry and to retain her independence. There is Eleanor, a freewoman thrust into the role of managing her own lands by the death of her parents and resolved to remain unmarried until she is ready for matrimony. And there is Lady Margaret, wife of the Lord of the Manor, who subtly seeks to mitigate the stern justice meted out by her husband on the tenants and workers of the manor. As the inhabitants of Meonbridge struggle to overcome the ravages of the ‘mortality’ and rebuild their lives, Alice and her son, John, continue to be troubled by the disappearance of Alice’s daughter, Agnes, shortly before the ‘mortality’ struck. They’re both convinced that others know more about Agnes’ disappearance than they are saying. Is she dead, or alive and, if she still lives, why did she run away? The ‘mortality’ is bringing other changes to the village, with some using the economic realities of a reduced population to challenge the feudal system that has ruled their lives for so long. However, there are those whose position would be threatened by any change in the balance of power. Who knows to what lengths they will go to protect the status they currently enjoy? One of the many interesting things I learned from Fortune’s Wheel was that there was a hierarchy amongst the peasantry as well as between the peasants and the landowners. The book contains fascinating detail about the feudal system: the obligations demanded with limited rights offered in return, the restrictions with few freedoms given in exchange and the many payments that could be demanded with refusal risking loss of home, property or livelihood. The book also really brought home to me how little the ordinary villagers knew of life outside the confines of the village, often living and dying without ever travelling more than a few miles from their birthplace. I loved all the detail of village life which gave the story such an authentic feel. Clearly, the author has done an incredible amount of research, introducing me to new terms – merchet, legerwite, heriot – and the many different roles necessary to village life – bailiff, steward, reeve and (my favourite) ale-taster. A glossary would be a fantastic addition to the book and I’d also love to have a map of the village. There are many fascinating articles on Carolyn’s blog, including this one about life after The Black Death. As you can probably tell, I really enjoyed Fortune’s Wheel and thought it was an accomplished, fascinating historical fiction novel – and an impressive debut. I was thrilled to learn the author is working on a second book in the series, A Woman’s Lot, and that this is due for publication in 2018. I’ll certainly look forward to reading more about the lives of the people of Meonbridge. The worst plague in England’s history has decimated the population, its wrath knowing no difference between the wealthy, the poor, the powerful or the weak. Like so many of her neighbors, Alice atte Wode has lost her husband and eldest son to the “mortality.” Unlike her neighbors, just days before the plague her daughter mysteriously disappeared and Alice is determined to find her or at least find the answers to where she went. As the villagers struggle to rebuild their lives after the plague ha The worst plague in England’s history has decimated the population, its wrath knowing no difference between the wealthy, the poor, the powerful or the weak. Like so many of her neighbors, Alice atte Wode has lost her husband and eldest son to the “mortality.” Unlike her neighbors, just days before the plague her daughter mysteriously disappeared and Alice is determined to find her or at least find the answers to where she went. As the villagers struggle to rebuild their lives after the plague has gone strife has come as tenants are pushed beyond their limits in their work for the manor. And they realize their value as labor has just gone up. Will the manor deny them the right to better lives in order to keep them under the manor’s thumb? Carolyn Hughes’s depiction of fourteenth century England in FORTUNE’S WHEEL is rich with detail, yet does not get mired in concentrating on the nuances of the old language. Contemporary dialogue does not take away from the story, but actually makes it a more pleasurable experience as we are allowed to concentrate on the mental images of the world these people lived in. Certainly a well-written historical novel, the pace is not rapid-fire but steady and strong. An easy to read historical novel with strong characters that many times seem contemporary. I received a complimentary Review copy from Silverwood Books! Historical fiction at it's best! This was a very enjoyable read and very well written. The author certainly knew her subject and had obviously spent a great deal of time in researching. It's just a shame when i came to the the last page. This is a book that i would quite happily read again one day, but meanwhile i intend to read Carolyn Hughes next book is this excellent saga, 'A Woman's Lot (The Meonbridge Chronicles 2). I do highly recommend 'Fortune's Wheel'. My thanks to Netgalley and the Pub Historical fiction at it's best! This was a very enjoyable read and very well written. The author certainly knew her subject and had obviously spent a great deal of time in researching. It's just a shame when i came to the the last page. This is a book that i would quite happily read again one day, but meanwhile i intend to read Carolyn Hughes next book is this excellent saga, 'A Woman's Lot (The Meonbridge Chronicles 2). So what was life like in 1349? Bubonic plague had just swept through Britain, and Meonbridge lost at least half of its residents. The village was overseen by Lord and Lady de Bohun of the manor, who owned lands rented to tenants. I was very int Fortune’s Wheel is a historical novel set in Hampshire in 1349. I chose to read this because Hampshire is my county, so I was delighted that many of the place names were familiar. The story revolves around a year in the life of the villagers of Meonbridge. A second strong theme runs through the story, that of the potential for a peasants' revolt. There were now fewer people to work the land, the workers were needed for longer hours to fulfil the jobs. There were calls for higher wages and or land offered to the cottars to farm. Both the bailiff and the Lord were against this, quoting laws from the King to cap wages, but with few “free” farmers in the country to invite to the manor lands, a stalemate occurred. Unlike today, when most of us can change our jobs as and when we please, in medieval times peasants were “tied” to the manor of the village they were born into, the law forbidding them to leave. The story of a Hampshire village shortly after the Plague has finished decimating the population. The Lord of the Manor is much troubled by the unrest among the working classes who, realising that there are now considerably fewer of them to carry on with all the essential work, start to push for higher wages and better conditions. Naturally this upsets the very few powerful men in the village who run things. However, the heart of this important tale, are the women, supposedly firmly under the th The story of a Hampshire village shortly after the Plague has finished decimating the population. The Lord of the Manor is much troubled by the unrest among the working classes who, realising that there are now considerably fewer of them to carry on with all the essential work, start to push for higher wages and better conditions. Naturally this upsets the very few powerful men in the village who run things. However, the heart of this important tale, are the women, supposedly firmly under the thumb of father, husband or master but actually, as women have always done, quietly and, by and large, efficiently, making the men see reason. As I was reading this book I could simply not get my head around the fact that this is Carolyn Hughes first published novel. Its exceptionally well written and is an astoundingly well researched book. I initially found it difficult to get my head around the huge cast of characters but helpfully Carolyn had provided a list of all the important characters at the beginning of the novel and I soon acquainted myself with them all. Although the novel doesn't race along at breakneck speed, it is at a As I was reading this book I could simply not get my head around the fact that this is Carolyn Hughes first published novel. Its exceptionally well written and is an astoundingly well researched book. I initially found it difficult to get my head around the huge cast of characters but helpfully Carolyn had provided a list of all the important characters at the beginning of the novel and I soon acquainted myself with them all. Although the novel doesn't race along at breakneck speed, it is at a pace that is both comfortable and kept me interested and engaged throughout. Set in the 14th Century, Meonbridge has been ravished by the Great Plague, or Mortality. With half of its inhabitants meeting a painful demise at the hands of the plague, many find themselves mourning the death of their loved ones, with entire families often being wiped out. Alice atte Wode is one such villager who has lost much. Not only has she lost family members to the plague, but the mysterious disappearance of her daughter Agnes has left her in her own personal purgatory, unable to mourn for her daughter, unsure whether she is in fact also dead. Agnes is sure that those at the Manor know more about the strange disappearance of her daughter than they are admitting to. But, how does someone like Alice and indeed her son John, now under the employ of Sir Richard question the master and his family? With life starting to return to semi normality after the plague has stripped families of loved ones, there is much unrest between the villagers and the Lord of the Manor. The workers want a fair days pay for a days work and time to tend to their own land. However, Sir Richard refuses to listen to the pleas of his people and the counsel of his wife and the villagers and labourers threaten to revolt, which will leave the harvest to rot and not enough food for anyone unless matters can be resolved. And, all through this, Alice is trying to find the answers she seeks. She is supported in her quest by her son and her friend Eleanor, who was my favourite character! There are lots of great little sub-plots woven into the story and the reader is given the opportunity to find out a little bit more of the back stories of the other characters in the book. Each told a story of love, loss, insurmountable grief and bravery. It also told a tale of what life was like during this particular period and plague or no plague life was pretty damn hard, with workers afforded little rights to the lands they worked and many living in poverty. The main vein throughout the book was the incredible strength of the female characters which is ironic given that at that time women and their opinions and wishes were not considered by their male counterparts. As well as a really entertaining read, the book provided me with invaluable insight into this period in history. Of course there were items and other things in the book that I did have to go and look up the meaning of but that was ok. It just gave the story more credibility and screamed out that Carolyn Hughes very obviously had done her research. This was a book that I really enjoyed and for those lovers of historical fiction I'd recommend you grab yourself a copy and get lost in an altogether different time. Fortune's Wheel had been honoured with a Chill with a Book Readers' Award. I found this quite hard going at first with many characters and rather confusing but, stuck with it and found it a very enjoyable historical novel with lots going on. Carolyn Hughes first book is a historical fiction focusing on the small village of Meonbridge in aftermath of the plague in England. There are too few people to do all of the work and those who are left feel that they should get higher wages for their labor. Of course the ruling class sees no reason to bow to the wishes of the working class. Hughes focuses particularly on the women and how strong they are during difficult circumstances. A primary character, Alice, has lost her husband Philip and Carolyn Hughes first book is a historical fiction focusing on the small village of Meonbridge in aftermath of the plague in England. There are too few people to do all of the work and those who are left feel that they should get higher wages for their labor. Of course the ruling class sees no reason to bow to the wishes of the working class. Hughes focuses particularly on the women and how strong they are during difficult circumstances. A primary character, Alice, has lost her husband Philip and has two sons to deal with. One of Alice’s previous love interests develops a mean streak making life in the village difficult. Everyone agrees that his behavior is difficult to understand. I am attracted to books with action. I find Hughes does an excellent job of describing people but her descriptions of events are lacking. Murders occur, but they are only mentioned. People disappear but little is done. Murderers are identified but their motives are vague and, in my mind, poorly described. I found I was bored at times. This book is about change. People are forced to approach life through a new lens. Citizens need to cooperate if villages are going so survive. Of course this leads to murder and mayhem at first, but people must adjust if they are going to survive. It’s a good story and I recommend this book to those looking for in depth character development. Almost from the very first page, it is clear to see that Meonbridge, this little village we’re visiting, tucked away as it is in the rural heartland of medieval Hampshire, is a place of contradictions. The mill, the essential, ever-beating heart of the village, the place where folk take the chance to exchange news and to gossip with old friends while they wait for their grain to be transformed by the massive stones into flour for their daily bread, seems as busy as it ever has been – and yet it i Almost from the very first page, it is clear to see that Meonbridge, this little village we’re visiting, tucked away as it is in the rural heartland of medieval Hampshire, is a place of contradictions. The mill, the essential, ever-beating heart of the village, the place where folk take the chance to exchange news and to gossip with old friends while they wait for their grain to be transformed by the massive stones into flour for their daily bread, seems as busy as it ever has been – and yet it is here, too, that we are reminded, almost immediately, how tentative life can be for the folk who live here. Meonbridge is a place of contradictions. As we are introduced to our neighbours and are allowed glimpses into their circumstances, it becomes increasingly clear that the Meonbridge that we have entered is not as it once was. There is stability here, a product of the many generations who have lived, worked and died here, and yet there is instability also – everywhere are signs of the aftermath of the mortality that struck so hard and so quickly over the few months before we arrived. We learn that the mortality arrived unbidden, despite the fervent prayers of the villagers, and struck deeply into their lives. It affected everyone, randomly plucking away old and young, men and women, sinners and saints, and leaving those who survived unscathed shocked and reeling from the loss of so many friends, family and neighbours. Some of those infected by the plague lingered, in agony, for days. Others simply took themselves to bed and didn’t wake up in the morning. Sir Richard, lord of the manor of Meonbridge, issued orders which he hoped might prevent the mortality from taking hold in his village. None were to enter, and none were to leave. But, despite this, arrive it did. Those who survived, then, have little choice but to pick up the pieces of their shattered lives, surrounded as they inevitably were by constant reminders of their loss – empty cottages, left behind when whole families succumbed; orphaned children, left to fend for themselves; spouses left alone without the families who had been their whole world; fields left untended because there were too few left to work them. The agony doesn’t end there, though – in this deeply feudal society, there are fees and fines to be paid to the manor for the deaths of all those who perished; there are fees to be paid for the transfer of tenancies from dead husband to widow or children; there are rents to pay for crofts and fields and cottages, and there are all the problems of trying to balance their obligation to work the manor fields as well as tend their own – in a world where those left behind by the mortality must do the work of two or three just to survive, it seems small wonder that the cottars, those with no fields of their own, and who therefore labour for daily payment, are seeking more money for their efforts, and small wonder that surviving tenants are seeking respite from their manorial obligations in favour of looking after their own plots. So, against the apparent backdrop of ancient, carefully nurtured feudal stability, the first seeds of instability are allowed to take root – nurtured by a growing sense of social and economic unfairness, and watered by mutterings from the lowest ranks….those with most to gain, but still a great deal to lose. And then, throughout, we have wondered what might have happened to Alice atte Wood’s daughter Agnes. The girl had simply vanished, shortly before the mortality arrived, and the inability to look outside the village for her under Sir Richard’s closure of the village has more than doubled the grief Alice feels following the death of her husband and one of her sons. One thing is certain - Alice's worries, hopes and dreams are infectious. The more we are drawn in to her story, the more we share them. So many questions, so many threads – all skillfully tangled and untangled by a wonderfully gifted author….but for me it is the details, sometimes large and important, more often small and intimate, that mark this book out as superb. The characters we meet are beautifully rounded and lovingly drawn….and are allowed to quietly emerge from the page at just the right level of detail, and at just the right moment. The book is saturated with expertly researched descriptions which capture the essence of medieval life, and we are quickly exposed to, and absorb, the feel of slippery mud squelching underfoot on the road between the village and the manor, and the comforts and discomforts of rural living; of cold, damp homes with little furniture, minimal lighting, and the almost universal reliance on a diet of home-grown potage for sustenance. I loved this book. It’s one I’m sure I’ll return to in the future - and I really look forward to further books in the Meonbridge Chronicles series. Just brilliant! So, was this ‘Merrie England’? ‘An everyday story of country folk’. No, not Ambridge but Meonbridge. And not in recent times either, but in the middle of the fourteenth century. A tale covering a single year; one of twists and turns. The Black Death has recently passed over the village reaping a harvest of dead adults, children, and infants; tearing holes in the fabric of village life, as well, of course, as causing holes in the ground – so many the old churchyard cannot take them all. There’s a t So, was this ‘Merrie England’? There’s a theme running through this tale of a turbulent year. The epidemic has destroyed the pattern, prevalent for at least the past two hundred years, of rural life – the only kind of life for the majority of the population. There aren’t enough people left to farm the soil as intensively as it has been, and still needs to be even for the village to feed itself, never mind pay its way by selling its surplus. Those who have survived and who provide the labour are only too aware that their labour is scarcer than it was, and therefore worth more to those who need it. The ‘establishment’, national and local, but also the traditional and conservative among the lower orders, see the disintegration of their society; and for some, who believe ‘God made them high or lowly, and ordered their estate’; demanding more and climbing up the social ladder is not just greedy but sacrilegious. This is all well brought out and provides the essential background conflict for the dramatic event that dominates this violent and unsettling year. The reader can therefore expect to be entertained. The pages ask to be turned over quickly and there’s some new development in every chapter. Those ignorant of the social conditions in England circa 1350 will also find much of it informative. There is, though, a large cast, for all that the epidemic carried off at least half of the population, and this reader found it hard to feel particularly strongly about any of them. The author has faced a real challenge. Thomas Gray’s ‘short and simple annals of the poor’ struggle to compete with tales woven around Kings and Princes, Lords and Ladies, whose histories are, if patchy, known and supported by records. To be fair, no one has the slightest idea of how the rural English spoke at that time, nor how the different levels of society would have addressed each other, let alone what kind of relationships might have existed among them. The author has made a fair shot at it. Those who tune-in with anticipation to Radio 4 at six-thirty in the evening, will probably love this book. The publisher, Silverwood Books, kindly provided me with a review copy. Fortune’s Wheel is an English historical fiction novel set in the middle of the 14th century, during the reign of Edward III, a period I know little about since most of the HF I’ve read centres on the Wars of the Roses and the Tudor period. Unusually, this is not about the royals, battles and court politics, but instead describes six months in the lives of the inhabitants of a small village in Hampshire, Meonbridge. Bubonic plague, known as The Mortality, has halved the village population, taking Fortune’s Wheel is an English historical fiction novel set in the middle of the 14th century, during the reign of Edward III, a period I know little about since most of the HF I’ve read centres on the Wars of the Roses and the Tudor period. Unusually, this is not about the royals, battles and court politics, but instead describes six months in the lives of the inhabitants of a small village in Hampshire, Meonbridge. Bubonic plague, known as The Mortality, has halved the village population, taking young and old, rich and poor, good and bad, then moved on, leaving the survivors reeling, unsure how to carry on with their lives. The strict hierarchy of medieval life must continue, however, with villeins (tenants), forced to pay both rent and service to the Lord, Richard, while poor cottars, who own nothing, work where they can, and the Freemen (and a few women) can farm their own land, but still need to make ends meet. With so many working men dead, the balance of power has shifted, and the poor villagers are demanding an increase in pay, but wage rises have been forbidden by the king, an excuse willingly seized upon by those in power. The story is told mostly from the point of view of several different women, Alice, older widow whose daughter went missing just before the sickness began, her friend Margaret the Lord’s wife, and Eleonore, a free woman who has inherited her father’s sheep farm. There is a large cast of characters and the list at the beginning is helpful to keep track, so worth bookmarking. Clearly well researched, this had a lot of interesting detail about their day to day lives, relationships and occupations, which meant the plot took a while to get going. There are two main mysteries - what happened to Agnes, and who killed one of the protesters, and the reveal is no surprise in either case. I enjoyed this as a change from all my thrillers, and a way to learn about ordinary life in the Middle Ages. I liked the main characters and the writing. This book is labelled the First of the Meonbridge Chronicles, and the sequel has been published recently, but this works well as a stand-alone with no annoying cliff-hangers, and a satisfying if slightly cheesy ending. I would be keen to continue the series and find out what happens next. The well-researched historical novel is set in the fictional village of Meonbridge (Hampshire) in the 14th century, in the aftermath of the plague, referred to as „the mortality“ by the villagers, half of whom have perished. Sir Richard de Bohun, lord of the manor, faces a serious problem, as there arent´t enough villagers left to work on his lands. The surviving villagers see the chance to make use of the lack in peasants by asking für higher wages. Sir Richard isn´t very sympathetic, but especially his son Philip and the bailiff Robert Tyler treat the villagers harshly. After two persons have been murdered, the situation turns critical. The story is told through the eyes of three female protagonists. Lady Margaret is Sir Richard´s wife, she feels for the harshly treated and exploited villagers and tries to plead with her husband to ease their lot. The widow Alice atte Wode is a friend to Lady Margaret and keeps her informed about the life and the mood of the villagers. She also faces a grave problem of her own, not long before the outbreak of the Black Death her daughter Agnes vanished and hasn´t been searched for so far. Alice is also friend to the freewoman Eleanor Titherige, whom she would like to have for a daughter-in-law. Although Eleanor likes Alice´s son John, she isn´t ready to submit to a husband´s rule, she wants to make an independent living for herself as a sheep farmer. The novel is focussed on the life of ordinary people and the hardships they have to face. It shows how the loss of numerous lives due to the plague opens up unheard-of opportunities for the survivors who are now in a position to ask for higher wages and better living conditions. The characters are mostly very well-developed and well-balanced, only two of them are shown in a very negative light, perhaps too negative to be realistic(?). „Fortune´s Wheel“ is a very absorbing read, I recommend it strongly to every reader who is interested in the life of ordinary people in the Middle Ages and I would very much like to follow the stories of Margaret, Alice and Eleanor in the second volume. This is probably in my TOP 5 favorite books this year. I requested this book from NetGalley for review as I was already fascinated by its description. There is a lot of good I want to comment on about this book so lets start with the front of it. To start with I was intrigued by the cover as you can see it is several people making up a wheel to a ship. The characters on the front all see vastly different and you can already tell that there is going to be many different types of characters to this This is probably in my TOP 5 favorite books this year. I requested this book from NetGalley for review as I was already fascinated by its description. There is a lot of good I want to comment on about this book so lets start with the front of it. To start with I was intrigued by the cover as you can see it is several people making up a wheel to a ship. The characters on the front all see vastly different and you can already tell that there is going to be many different types of characters to this book all leading very different lives, from what appears to be families to hard laborers, even to children trying to live out their youths. After flipping over and reading the synopsis one can’t help but wonder who among the people are the front will live and who all will perish? Next up I want to touch how upon opening the book you are given a cast of characters. I really wish more series of books or books that focus around multiple POV’s or even ones with a very diverse line of characters would have these as it sometimes makes the lengthier stories a little easier to follow and gives you a tease of whats to come. The writing in this novel blew me away! Carolyn has definitely done her research for this book and gives a wonderful spin on history. I actually learned a lot from this book. I found myself rushing to my computer to do my own research just to learn more after I reached this books end. It was interesting to see all the hierarchy’s between the classes and even how some lower classes had such social standings as well. The characters in this novel were very complex and each one brought their own powerful punch to the book. They were well paced and their own background and family style was intriguing to read, even if not heartbreaking at times. There are some impressive strong female characters in Fortune's Wheel. None more so that Alice atte Wode It's no secret that I enjoy reading historical fiction, but it's not often you come across a book set in the 14th Century. The Black Death struck Britain between June 1348 and December 1349, and is referred to in Fortune's Wheel as the mortality. No family was safe from this terrible plague, with many whole families being wiped out and others left starving after losing their main breadwinner. The village adjusts to the new order of things. Eleanor, in her late teens, without parents and her fourteen year old step brother her only surviving kin, decides to expand her sheep onto more of her land with the help of her shepherd. The cottars, tenants without land of their own, are getting wise to their worth, It’s 1349. The Black Death has halved the population of Meonbridge so the ‘cast’ of this story are the family members left behind, forced to adapt to the broken world they now live in. The village adjusts to the new order of things. Eleanor, in her late teens, without parents and her fourteen year old step brother her only surviving kin, decides to expand her sheep onto more of her land with the help of her shepherd. The cottars, tenants without land of their own, are getting wise to their worth, demanding more money to farm Sir Richard’s land while Alice, mourning the loss of her husband and eldest son is left to guide her younger sons, while hoping her only daughter Agnes will return safely after disappearing before the plague made leaving the village ill advisable. The Black Death has just swept through Meonbridge, England leaving devastation in its wake; despair of losing loved ones, labor disputes and shortages, feuds between families, murders, missing people and an oppressive church telling them it's their fault. There is not one aspect of life that wasn't affected by this devastating event. Fortune’s Wheel by Carolyn Hughes explores the aftermath of the Black Death in Meonbridge and how the survivors try to get back to normal life. It was refreshing to The Black Death has just swept through Meonbridge, England leaving devastation in its wake; despair of losing loved ones, labor disputes and shortages, feuds between families, murders, missing people and an oppressive church telling them it's their fault. There is not one aspect of life that wasn't affected by this devastating event. Fortune’s Wheel by Carolyn Hughes explores the aftermath of the Black Death in Meonbridge and how the survivors try to get back to normal life. It was refreshing to read this tale from the perspective of three of the surviving women. I feel women are under-represented in historical events. I noticed three themes run through this story; a labor movement, the plight of women, and religious oppression. For me, it started slowly, but about halfway, I got a feel for the characters, cared about them and wanted to know what would happen next. Fortune's Wheel is set in the village of Meonbridge during the time of the Black Death, known in the village as 'the mortality'. There have been so many deaths in the village and this has had a devastating effect on everyone - men and women widowed, families destroyed with the death of children and a shortage of people left to work for the manor and for their livelihood. The life for those who have survived is so well described you can picture this village and its inhabitants and feel invested i Fortune's Wheel is set in the village of Meonbridge during the time of the Black Death, known in the village as 'the mortality'. There have been so many deaths in the village and this has had a devastating effect on everyone - men and women widowed, families destroyed with the death of children and a shortage of people left to work for the manor and for their livelihood. The life for those who have survived is so well described you can picture this village and its inhabitants and feel invested in their attempts to continue and succeed. The beginning of this book begins with tragedy and then the stories of the villagers draws you in very quickly. It is fascinating to read that the Church believed the Black Death was a punishment from God for their sins and that folk should put the success and wealth of the Lord of the Manor before themselves and their families. Nothing changes! A great read and I am delighted to see there are to be more 'chronicles' of the folk of this village. Ever read a book and sit there & try to decide where the story actually starts and where the story actually is? For me this was that type of book. I wanted to enjoy this book, it is set in the right time frame, the author knew what she was writing about, but I could not get into the story. It was bad enough I dropped it mid way through the book and read another two books before remembering that I forgot to finish this one. In all honesty, the story line was quite boring to me and hard to get Ever read a book and sit there & try to decide where the story actually starts and where the story actually is? For me this was that type of book. 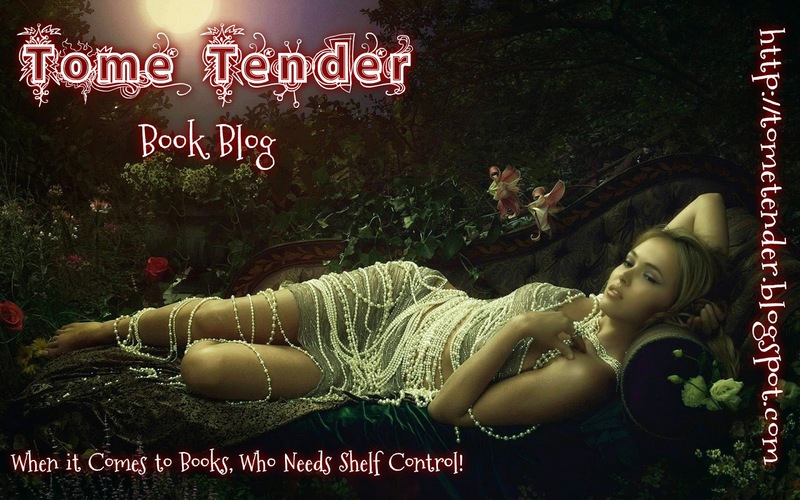 I wanted to enjoy this book, it is set in the right time frame, the author knew what she was writing about, but I could not get into the story. It was bad enough I dropped it mid way through the book and read another two books before remembering that I forgot to finish this one. In all honesty, the story line was quite boring to me and hard to get into. The characters were well developed and the plot lines were there. I just could not get into the story or get it to hold my interest. I finally did read it but it still left me with a disappointed feel. Don't get me wrong, the book was good, just very slow paced and you figured everything out well before the author told you what happened. I am pleased with the ending though to be honest with the time era I feel it was more of a fairy-tale ending then one that actually would have taken place. I received an advanced reading copy from BooksGoSocial and Carolyn Hughes via NetGalley. Thanks! Last month I read an historical mystery novel called The Thieftaker's Trek. I enjoyed the story, but the historic elements were not as successful. The characters did not feel as if they had been born in a world with different beliefs and mores, but instead as if my neighbor or coworker was transported to the past. Reading Fortune’s Wheel felt like the mirror image of the previous book. Set in fourteen I received an advanced reading copy from BooksGoSocial and Carolyn Hughes via NetGalley. Thanks! Reading Fortune’s Wheel felt like the mirror image of the previous book. Set in fourteenth century England, this story takes place in a small village that has lost a large part of its population to the Black Death. Beyond the grief of losing loved ones, this book explores the political and societal ramifications of these losses to the entire population. I loved that insight. The plotting was less successful for me. The story did not have a single protagonist, but instead follows a large number of characters. This left me less invested in the individual stories of each of the people, and hampered the forward momentum of the plot for me. Even the underlying mystery at the center of this book was not as satisfying because it did not resolve all of the challenges faced by the other characters. Much more accurate to the way life functions, but not what I anticipate from a literary mystery. So many tenets had died in Meonbridge with the Plague, that the entire town is different. There are those who want to keep the status quo, and those who want more. Was the mortality- as the people call it, G-d’s wrath? If so, why didn’t “the sinners” die and the good people, especially the children, succumb? Every family was affected in the Village, either by illness or it’s aftermath. What happens now? What a delightful book! For some reason, I’m always a bit apprehensive when I start to read an historical novel because I can’t always cope with strategic plots involving kings and earls and knights of the realm and so on, especially when I know they are taken from real life. Also, I don’t want every book I read to be full of wars and bloodshed, again, especially when I know it is real history. There was none of that in this book. Set in the time just after the Great Plague, or ‘Mortality’ as it’ What a delightful book! For some reason, I’m always a bit apprehensive when I start to read an historical novel because I can’t always cope with strategic plots involving kings and earls and knights of the realm and so on, especially when I know they are taken from real life. Also, I don’t want every book I read to be full of wars and bloodshed, again, especially when I know it is real history. There was none of that in this book. Set in the time just after the Great Plague, or ‘Mortality’ as it’s referred to here; this is the story about ordinary people trying to rebuild their lives after so many of their loved ones have died as victims of the plague. But it’s not boring – oh no, far from it. I found myself deeply involved in the lives of the characters, struggling within the Manorial system that existed in those days and how the shape of their lives can change at the whim of their masters. I learned a lot about life in the fourteenth century and about the Manorial System and so on. I think human nature hasn’t changed much – if I didn’t know better, I would have said it was the start of the Trade Unions! I am not into going into lots of detail about the story because I think it spoils it for the readers but I will say that Ms Hughes has beautifully interwoven the various storylines so that the reader can easily slip out of one into another and back again with no difficulty; in fact, it is a village, a community whose lives are interwoven and so the whole thing is very natural. I was so involved that I was rather surprised when it ended, although I suppose it ended in a good place, leaving some story lines to continue in the next book. Thanks very much, Ms. Hughes, I thoroughly enjoyed it and am looking forward to reading the next one. When discussing the aftermath of the Black Death, many general history books mention that it was an historical turning point which ultimately brought about the demise of the feudal system. With possibly up to 60% of the population of Europe dead from plague, labourers were in short supply and despite laws intended to freeze wages at pre-plague levels, they were able to win, over time, not only higher wages and better conditions but freedom from feudal obligations. This is history presented as a When discussing the aftermath of the Black Death, many general history books mention that it was an historical turning point which ultimately brought about the demise of the feudal system. With possibly up to 60% of the population of Europe dead from plague, labourers were in short supply and despite laws intended to freeze wages at pre-plague levels, they were able to win, over time, not only higher wages and better conditions but freedom from feudal obligations. This is history presented as a grand vista; Carolyn Hughes’ Fortune’s Wheel puts a human face to these upheavals of the 14th century. Beginning in 1349, the novel follows a year in the life of the Hampshire village of Meonbridge as the survivors of the plague, here called the ‘mortality’, attempt to struggle on with their lives. No family has been left untouched—husbands, wives, parents, children are missing, in some cases whole families have died. Many believe that the plague has been God’s punishment despite the mortality often having taken the godly and left the ungodly to survive. Cottages now lie empty and fields are untilled. The hierarchical system that ruled village life is still in place with the lord and lady of the manor at its apex. Below them are ranged the manor officials such as the bailiff and the reeve, tradesmen like the miller and the blacksmith, villeins holding land subject to their lord, and landless cottars as well as freemen and women. Hughes provides a wealth of detail surrounding the structure of village life and land tenure woven seamlessly into the narrative. Beyond the usual tensions of village life, there are new problems to be faced. With so many dead, appointments of new village officials need to be made and not all are happy with the decisions. As well as their duty to work on their lord’s land several days a week, the villagers are desperate to tend their own strips in order to survive. Resentments simmer as labourers, particularly the landless, realize the increased value of their work – they want to be paid what their labour is now worth. Although there is a large cast of characters, all are individual enough to be quickly recognized and there is a helpful list at the front of the novel. All are believable with the same qualities, hopes and failings as we still have, yet they are in no way modern people in period dress, their aspirations and actions are in keeping with their time; even the minor characters are well drawn. At the centre of Fortune’s Wheel are three women whose lives overlap. Alice atte Wode is the widow of the former reeve, a competent and likeable woman; in many ways, she is the heart of the novel. Eleanor Titherige, a freewoman and daughter of a wealthy merchant and farmer, is along with her step-brother sole survivors of her family. Eleanor is now struggling to tend her father’s large flock of sheep, something she has not been trained for. Lady Margaret is the wife of Sir Richard de Bohun, lord of Meonbridge. A kind woman with genuine care for the villagers, she tries to ameliorate the excesses of her husband and son as they attempt to maintain the old order and enforce its obligations. Intertwined with their stories are those of the other inhabitants including Joan Miller brought to such despair by the death of her young son that she cannot even stir herself to care for her newborn daughter; feckless Bart Couper, a landless cottar, and his struggling wife Emma; John atte Wode, Alice’s son, who has been called upon to fill his father’s shoes as reeve before he is really ready for it; and the bailiff, Robert Tyler, a hard, ambitious man with aspirations of increasing his wealth and influence in the village. Beneath the struggle to adjust to the changed world and the slow rebuilding of life, there is the underlying mystery of the disappearance of Alice’s daughter, Agnes, who went missing just before the arrival of the plague in Meonbridge. Alice and John have not been able to search for her, prevented at first by the plague and later John ‘s duties as reeve. Both Alice and John are certain that Lady Margaret’s children know more of Agnes’s disappearance than they are letting on. This is a gently told story in an unadorned prose which works as a vehicle for the story rather than drawing attention to itself. There are moments of real fear, tension and excitement in this ultimately uplifting novel that has a genuine resolution despite being the first of a series. Fortune’s Wheel invites comparison with Minette Walter’s The Last Hours for no other reason than they were published within a year of each other and both deal with a village coping with the plague, although Walters’ book begins with the arrival of the plague. The major characters of The Last Hours are, in many ways, extraordinary people for their time who, I imagine, would adjust quite quickly to living in the 21st century. In my opinion, Fortune’s Wheel is a far more thoroughly researched book, with care given to ensuring that the characters have 14th century attitudes and knowledge. It also gives a strong sense of the reality of the past and the rhythm of the year, the mundane but important tasks that follow one on the other. If you only have time to read one novel about life during and after the 14th century plague years, I would certainly recommend it be Fortune’s Wheel. I loved Fortune's Wheel, a historical page turner. The first of the Meonbridge Chronicles introduces the hierarchy of village life from the Lord to the lowest cottar. The characters and all the subtle subplots in the village at the time of the plague have the reader guessing what is coming next. There is rich detail which is informative but it doesn't intrude with the pace of the book. I am looking forward to the next book in the Meonbridge Chronicle. Carolyn Hughes was born in London, but has lived most of her life in Hampshire. After a first degree in Classics and English, she started her working life as a computer programmer, in those days a very new profession. It was fun for a few years, but she left to become a school careers officer in Dorset. But it was when she discovered technical authoring that she knew she had found her vocation. She Carolyn Hughes was born in London, but has lived most of her life in Hampshire. After a first degree in Classics and English, she started her working life as a computer programmer, in those days a very new profession. It was fun for a few years, but she left to become a school careers officer in Dorset. But it was when she discovered technical authoring that she knew she had found her vocation. She spent the next few decades writing and editing all sorts of material, some fascinating, some dull, for a wide variety of clients, including an international hotel group, medical instrument manufacturers and the Government. She has written creatively for most of her adult life, but it was not until her children grew up and flew the nest, several years ago, that creative writing and, especially, writing historical fiction, took centre stage in her life.